Back in the summer of 2010, photographer Brandon Stanton began an ambitious project - to single-handedly create a photographic census of New York City. The photos he took and the accompanying interviews became the blog Humans of New York. In the first three years, his audience steadily grew from a few hundred to over one million. In 2013, his book Humans of New York, based on that blog, was published and immediately catapulted to the top of the NY Times Bestseller List where it stayed for many weeks. The appeal of the Humans of New York blog has been so great that in the course of the next year Brandon's following increased tenfold to over 12 million followers on Facebook and is still growing. Brandon Stanton studied at the University of Georgia and worked as a bond trader in Chicago before founding Humans of New York in the summer of 2010. He has appeared on The Today Show and the BBC, has been featured in The Wall Street Journal, and his photos have appeared at Vogue.com and TheAtlantic.com. David Karp, the founder of Tumblr, called Humans of New York his favorite Tumblr blog. 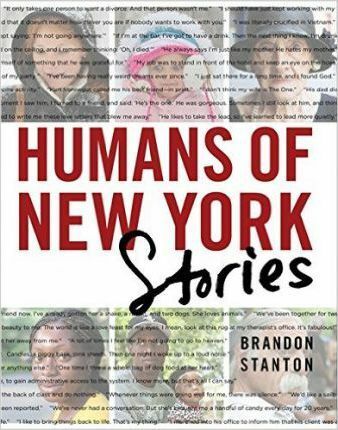 He is the author of Humans of New York, Humans of New York: Stories and Little Humans. Stanton lives in Brooklyn, New York.